Cuba hosts world gatherings of all kinds. Political meetings of solidarity activists, as well medical, commercial and diplomatic gatherings occur constantly. I attended one, but others are held and reported all the time. More than 4,000 people from over 100 countries around the world came to express their direct solidarity with and support for the Cuban Revolution in November, 2000 at the Second World Solidarity Conference. They included members of left-wing political parties, trade unionists, students. Participants attended workshops and heard from top Cuban leaders, including economics chief and Vice President Carlos Lage, national assembly president Ricardo Alarcon, and president Fidel Castro. 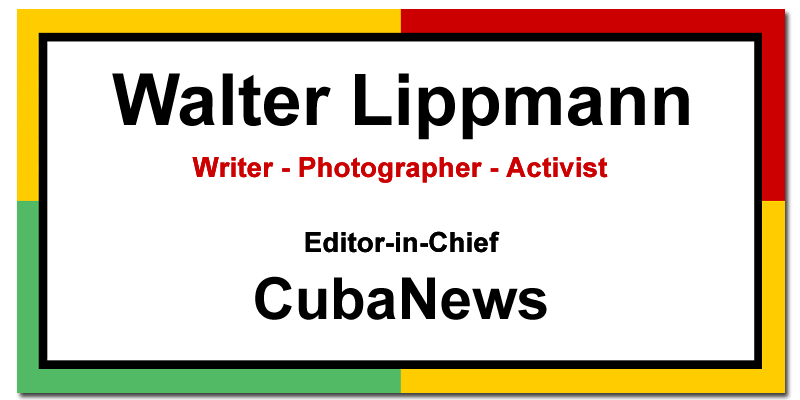 Comprehensive reports were given on Cuba’s diplomatic standing, US efforts to reverse the 40-year-old revolution, and Cuba’s vigorous efforts to revive its economy. Their reports were published in Cuba, They were precise and objective, giving detailed and specific explanations, relying on facts and logic, not rhetoric. You can read Alarcon’s speech here. Carlos Lage and Fidel Castro took questions from the audience on a wide range of topics. Fidel, amazingly, took questions and answered for hours without interruption! While those on the platform sat and listened, and some in the audience (including myself) got up, walked around and came in and out of the hall, Fidel Castro stood there, without sitting down or taking a break, for the entire time, 5½ hours! Cuba has broken out of diplomatic isolation. When the Soviet Union and its Eastern European allies returned to capitalism, Cuba was shocked and isolated. It quickly recognized the new republics created after the USSR’s dissolution. In the 1960s, the US pressured all Latin American countries (except Mexico) to break relations with Cuba. Today every country in Latin America except El Salvador has relations with the island. These are expanding daily. (Even El Salvador has welcomed Cuban doctors, who are providing free medical aid after a recent disastrous earthquake.) Cuba now participates in Latin American summit conferences from which it had previously been excluded. 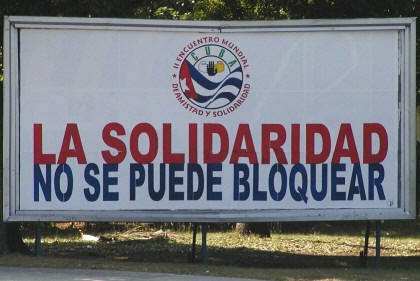 At the United Nations, Cuba has sponsored General Assembly resolutions opposed to the US blockade for many years. In the past many US allies, especially in Europe, voted with the US, but this has changed. In recent years even prominent US allies such as Britain have voted against the blockade, or have begun to abstain on these matters. In the fall of 2000, only two countries voted with the US: Israel and the Marshall Islands (population: 68,000), a former US possession only independent since 1986. At the 10th Ibero-American Summit in hosted by Panama in November, 2000, Fidel revealed that a band of Cuban terrorists, using false Salvadoran passports, were in Panama. They were plotting yet another attempt to assassinate the Cuban leader who was scheduled to speak at the university. Cuba provided the Panamanian authorities with needed documentation. Within two hours, the gang was rounded up.